Dr. Sanda Moldovan of Beverly Hills, CA is a quality dentist who provides comprehensive dental solutions. Her practice is committed to patients who are ready for oral health solutions. When conditions such as TMJ dysfunction exist, it is important to work with a dedicated professional who has experience in working with this disorder. When patients have continual issues with their TMJ, they may be diagnosed with TMD, or temporomandibular disorder. This condition can be chronic and require attention by a dedicated professional such as Dr. Sanda Moldovan. 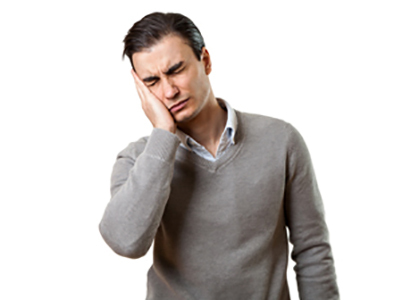 TMJ symptoms can be addressed with a variety of solutions. At the practice of Dr. Sanda Moldovan, patients are often introduced to oral appliance therapy. Oral appliance therapy is a treatment that uses a special mouth guard made specifically for the patient to keep the jaw aligned and the bite in sync. Dr. Moldovan works together with osteopathic and chiropractic doctors because it is important to balance the head and neck prior to wearing a mouthguard. This therapy reduces the pressure caused by the dysfunction and reduces the tension in the area of the joint. Many patients see noticeable relief from this non-invasive treatment. Patients in and around the area of Beverly Hills, CA are welcome to schedule an appointment with Dr. Sanda Moldovan to learn about TMJ disorder. Her practice can be reached at (310) 651-6588 and is located at 465 N. Roxbury Drive #911.